As we’ve traced the roots, trunks and branches of the trees that symbolize music history, we’ve often discussed musicians, especially those in the UK in the 60s and 70s, who migrated from band to band, often crossing genres, resulting in a forest of interlaced “trees” and intersecting “branches”. Last weeks’ look at Led Zeppelin’s How the West Was Won put me onto another band occupying a very short nearby twig. 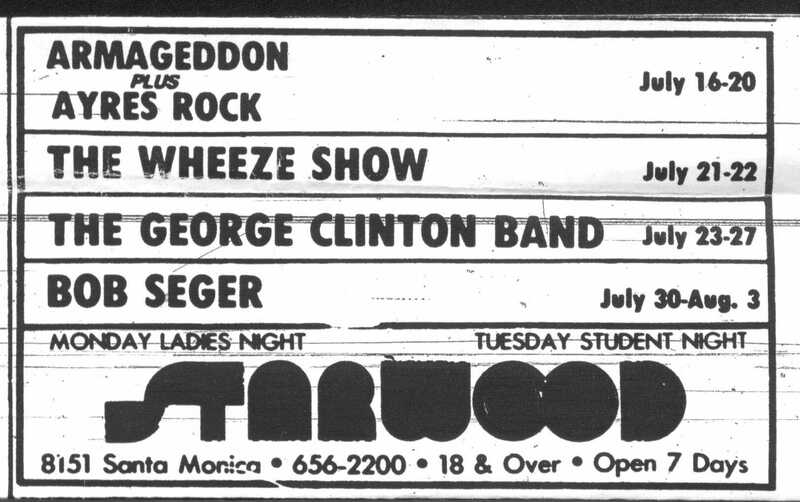 The band was called Armageddon. 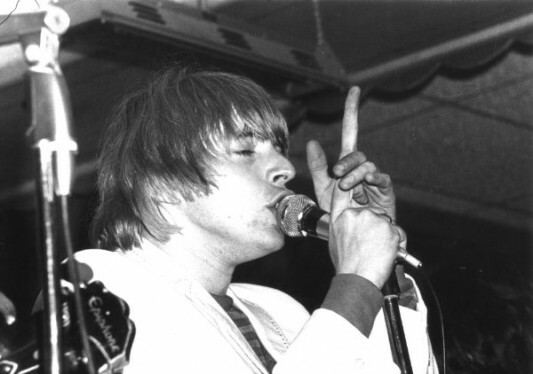 Keith Relf was a founder of the important 60s blues rock group, The Yardbirds. He was its frontman, lead singer and harmonica player (despite suffering from asthma). The Yardbirds were a big part of the British Invasion, and were especially famous for its succession of lead guitarists, Eric Clapton, Jeff Beck and Jimmy Page. When The Yardbirds called it quits in 1968, Page hooked up with Robert Plant, John Paul Jones and John Bonham (who would have turned 68 today). They actually toured Scandinavia as The Yardbirds, to fulfill that group’s last contract. Meanwhile, Relf veered into softer rock, forming a Simon and Garfunkel-esque duet, before founding the progressive rock band Renaissance. The bass player was Louis Cennamo, formerly with Peter Frampton’s group, The Herd. They released two albums and toured until 1970 before dissolving. Keith then began producing records, and in 1972 worked with Steamhammer, a blues rock band with Cennamo on bass, and Martin Pugh on lead guitar. Relf produced and added backing vocals. Steamhammer broke up shortly thereafter, when its founder and drummer died suddenly from undiagnosed leukemia. In late 1973, Keith phoned Cennamo and Pugh to see if they were interested in going to California to form a new band. They were. Before they had a name, a drummer, or a recording contract, Rolling Stone magazine was hailing the new supergroup. In LA in early 1974, the guys were rehearsing and hanging out in bars. One day, they were approached by drummer Bobby Caldwell, formerly with Johnny Winter, but at that time with the Iron Butterfly/Deep Purple mash-up, Captain Beyond. Suitably impressed with each other, the Armageddon foursome was complete, and went to work on songs mostly written by Keith Relf, with Caldwell adding some lyrics. They ended up with a group of long songs, full of interesting guitar riffs, spiritual and ethereal lyrics, and power drumming – sort of like Led Zeppelin. Louis Cennamo’s old friend Peter Frampton, a big star for A&M Records, put Armageddon in touch with his manager, Dee Anthony (who also managed Humble Pie, J Geils, and Emerson Lake and Palmer), and Anthony got them a live audition with Jerry Moss, co-founder of A&M (with Herb Alpert). Anthony agreed to manage the band and Moss offered a recording contract and to pay the band’s living expenses while they rehearsed before recording an album. They were being groomed for stardom. In the fall, they left for England to record their debut album. Armageddon was released in May, 1975, to good reviews. It was selling well and getting radio play. Back in LA, the band played perhaps a dozen club dates to raves from fans. They were scheduled to tour with Eric Clapton, opening his 1975 tour stops. It would be an interesting reunion of sorts for two of the old Yardbirds. Unfortunately, Caldwell had a drug habit that was starting to cause problems. And, Keith’s asthma was progressing to emphysema and affecting his vocal power. The record company began distancing itself from the group, stopped its promotional efforts, and Armageddon was cut from the Clapton tour at the 11th hour. Although Armageddon didn’t dissolve, Relf and Cennamo returned to England late in 1975, and were in the process of putting together a new band, Illusion. On May 14, 1976, Keith Relf was found dead in the basement of his home where he'd been practicing guitar. A faulty ground on his amplifier had caused electrocution. He was 33. With Keith Relf’s tragic demise, Armageddon was truly finished. Armageddon has been called a lost classic, but it can still be found on old vinyl. It was also released on CD in 2001. Here it is from YouTube.